- "Michael, we are losing power." - "Michael, I detect vehicles." - "After all, we're only human." With fully detailed moving parts, you'll find yourself wishing you could climb into it and take it for a spin! Pre-order KITT at your local comic shop or your favorite online retailer. And if your KITT isn't complete without his partner, look for the exclusive Michael Knight edition at Entertainment Earth! 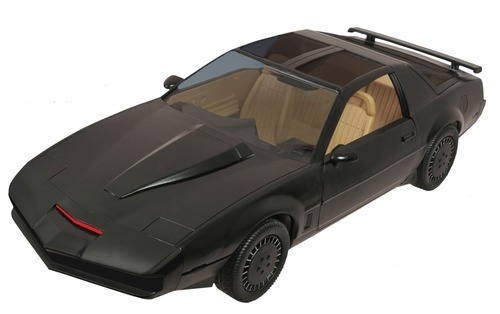 DST has provided a prototype version of this model to be put up for auction at Knight Rider Reunion. Proceeds from that auction will go to benefit the Children's Hospital Los Angeles.